Ethel Skakel Kennedy is an American socialite and the widow of Robert Bobby F. Kennedy with net worth of $50 million. Ethel was born in 1928 in Chicago. She was raised in Greenwich, Connecticut as a Catholic and attended an all-girls Greenwich academy, and then at the Convent of the Sacred Heart in Manhattan. For higher education she went to Manhattanville College of the Sacred Heart. She first met her future husband in 1945 on a ski trip in Quebec‘s Mont Tremblant Resort in Canada. Ethel‘s net worth is tied to her personal life in a big way, since her husband was the main source of her fame and a big part of making the net worth value climb as high as it is. Bobby and Ethel were married in 1950. They lived in Charlottesville until Bobby graduated with a degree in law, when they moved into Washington, DC. There they had their first child, Kathleen. Robert started working for the Department of Justice, managed his brother John F. Kennedy‘s campaign in Massachusetts in the 1950s, and also started to work on his career towards becoming Attorney General of the United States and a United States Senator for the state of New York. The Kennedy family moved into practically a mansion in Hickory Hill, Virginia. While living there, they organized various get-togethers – from pool parties to formal dinners. They had such guests as John Lennon, Judy Garland, Stewart Udall and Rudolf Nureyev. Life was going smoothly and easily for the ever-growing family. It all changed after June 5th, 1968, the day of Robert F. Kennedy‘s assassination. Ethel became a widow with ten children, and an eleventh coming along later that year. It was a huge blow, and really hard to recover from. After RFK‘s death, Ethel swore to never remarry. She kept the promise, but also spent a lot of time with a family friend, singer Andy Williams. Ethel was also good friends with her husband‘s brother John. She contributed to his election campaigns for the US Congress and even wrote a thesis based on John F Kennedy‘s book Why England Slept. That helped her career as a socialite and increased her net worth. 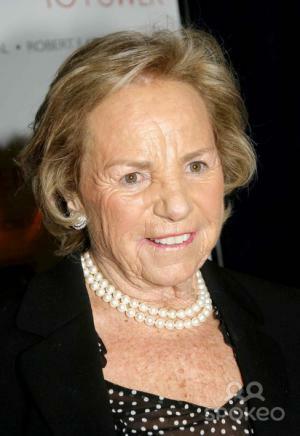 Ethel Kennedy continued to live in Virginia until she sold the place in December 2009 for $8.25 million. Ethel was in a documentary named after her, directed by her daughter Rory and which premiered at the Sundance Film Festival in 2012. In this documentary, Mrs. Kennedy and some of her siblings talk about the family and the tragedies that struck it. In 2014 the widow Kennedy founded a nonprofit charity, Robert F. Kennedy Center for Justice and Human Rights that aimed to realize her late husband‘s dreams of a fair and peaceful world by improving human rights. In the same year, Ethel received a Presidential Medal of Freedom from Barack Obama. This definitely increased her net worth. Ethel Kennedy‘s relevance to the media started thanks to her relationship with RFK, but she did work to further increase her career and net worth, even after her husband‘s death. 1 Introspection! I hate it! 2 When we lost Bobby, I would wake up in the morning and think, 'He's OK. He's in Heaven, and he's with Jack and a lot of my brothers and sisters and my parents.' So it made it very easy to get through the day thinking he was OK.
3 The Kennedys were very organized. Dinner was always served at 7:15, and if you were a minute late, it really wasn't worth it. In my family, you never knew when dinner was going to be. It could be at 7, or it could be at 10. 1 Awarded the Presidential Medal of Freedom by President 'Barack Obama (I)'qv) 24 November 2014. 2 Was pregnant with daughter Rory Kennedy when husband Robert F. Kennedy was assassinated. 3 Has six siblings named Georgeann Skakel (1918-1983), James Curtis Skakel (1921-1998), George Skakel Jr. (1922-1966), Rushton Walter Skakel (1923-2003), Patricia Sistine Skakel (1925-2000) and Ann Skakel (b. 1933). 4 Daughter of secretary Ann Brannack (1892-1955) and businessman George Skakel (1892-1955), both kill in an airplane crash in October 3, 1955. 5 Ex-mother-in-law of Andrew Cuomo and Vicky Gifford Kennedy. 6 Ex-sister-in-law of Peter Lawford, Joan Bennett Kennedy. 7 Younger sister of Rushton Skakel Sr.. Aunt of Tommy Skakel and Michael Skakel, Maria Shriver, Christopher Lawford, Caroline Kennedy, John Kennedy Jr..
8 Mother of Kathleen Kennedy Townsend, Joseph Kennedy, Robert Kennedy Jr., Courtney Kennedy, Michael LeMoyne Kennedy, Maxwell Kennedy, Kerry Kennedy Cuomo and Rory Kennedy. 9 Daughter-in-law of Joseph P. Kennedy and Rose Kennedy. 10 Sister-in-law of John F. Kennedy, Ted Kennedy, Jacqueline Kennedy, Jean Kennedy Smith, Eunice Kennedy Shriver, Sargent Shriver, Patricia Kennedy, Rosemary Kennedy. 11 11 children, with Robert F. Kennedy: Kathleen (b. 1951), Joseph (b. 1952), Robert (b. 1954), David (b. 1955), Courtney (b. 1956), Michael (b. 1958), Kerry (b. 1959), Christopher (b. 1963), Matthew (b. 1965), Douglas (b. 1967) and Rory (b. 1968).